You are here: Home / Marvel and DC / DC / Grant Morrison on The Killing Joke – “Batman kills The Joker”. 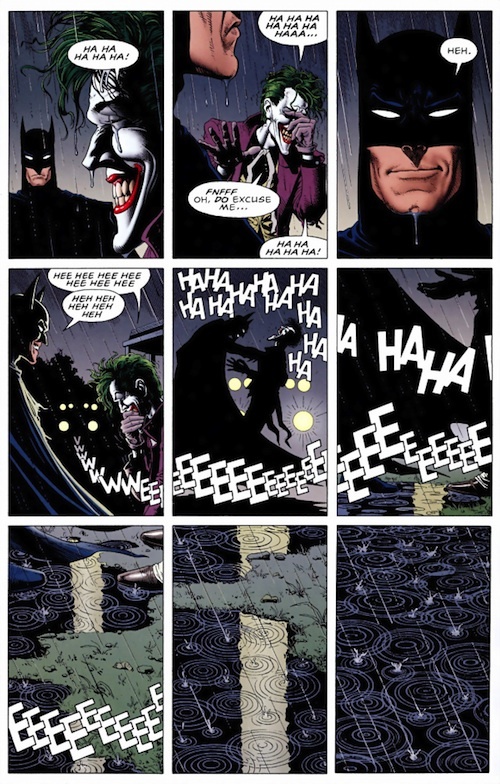 Grant Morrison on The Killing Joke – “Batman kills The Joker”. Now I have seen this pop up and debated for days since Morrison first dropped this bombshell, but if this is as Morrison claims, it paints the entire comic in a completely new light – as Kevin Smith puts it “the last Batman story ever told”. It elevates, what I think is, one of the greatest Batman stories to something more. This is the Joker’s last joke – and victory. Chances are that Alan Moore being who he is, we will never get an official word on this, but it still is brilliant when people are still discovering new things in material that is so many years old. What do you guys think? Does Batman really kill the Joker? Or is this just people reading too much into the fiction? Let me know below! Thanks toBleeding Cool for the story.